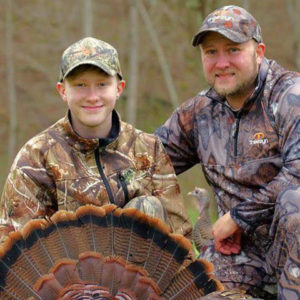 The Appalachian Outdoorsmen’s Association, in conjunction with Out Back Gun’s N More and the Sportsmen’s Alliance Foundation, hosted their first annual youth turkey hunt in Kentucky during the youth weekend season on April 1-2. More than 60 property owners and 10,000 acres of land were used by the 93 youth hunters, 32 mentors and 51 volunteers, each of who contributed to the success of the hunt. Ten birds were harvested and prizes were awarded for the top-three birds. Each hunter was given a hunting facemask, turkey call, camo hat, ammunition and a gun if needed. Caney Creek Taxidermy donated one mounting service to the largest bird harvested, which was 25.1 pounds. Multiple media outlets covered the hunt. 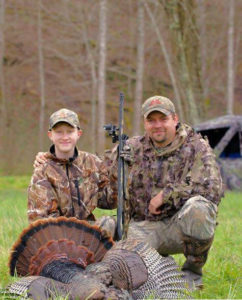 “Partnering with Sportsmen’s Alliance Foundation on this hunt gave Appalachian Outdoorsmen the opportunity to partner with a first-rate sportsman’s organization, and we foresee many more opportunities to do so for future youth and family activities,” said Application Outdoorsmen’s Association President Jimmy Cantrell. 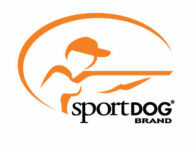 Sportsmen’s Alliance Foundation Trailblazer Program provided 10 shotguns through its equipment grant usage program, as well as second and third prizes. Groups such as AOA can apply to use equipment for their events, education programs, camps and other youth requirement efforts. If a club or association holding a similar type of event is interested, please contact the Sportsmen’s Alliance Foundation at trailblazer@sportsmensalliance.org.